MOSCOW - JUN 23, 2014 (Time lapse): People walk near Fountain of Friendship of people and look at the quadrocopter that flies over them, Jun 23, 2014, Moscow, Russia. 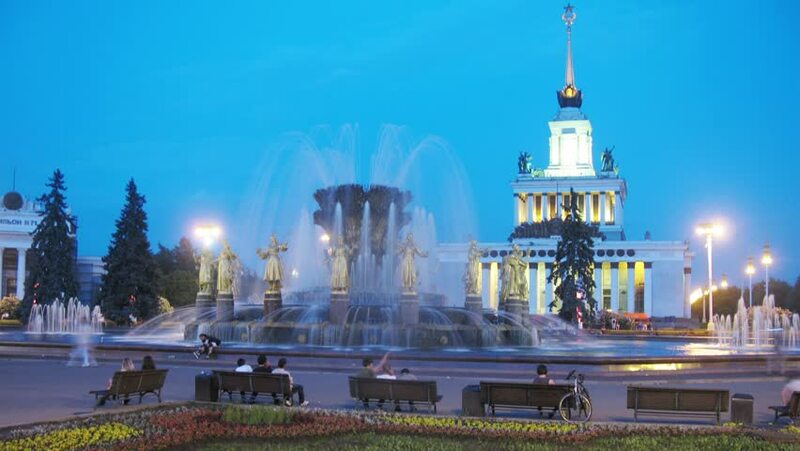 hd00:14Moscow, Russia - May, 2, 2015: Famous fountain of friendship of the nations and Pavilion Central, VDNKh. Moscow. Russia. hd00:05Ekaterinburg, Russia - May 20, 2017: Administration building in Ekaterinburg by night. hd00:09MOSCOW - JULY 10: Square in All-Russian Exhibition Centre (VDNKH) with fountain, 10 July 2010 in Moscow, Russia.